What can I say about these guys? Well.. They're tasty, they're made with whole wheat flour, so according to my husband, they're healthy.. Wooo hooo! He's so great, I love that guy :) I picked up some whole wheat pastry flour in an attempt to make some cornbread that called for whole wheat pastry flour. Didn't like the cornbread much, but I figured I would use the flour for other things. Such as these little sweet treats. Good choice, they're yum. 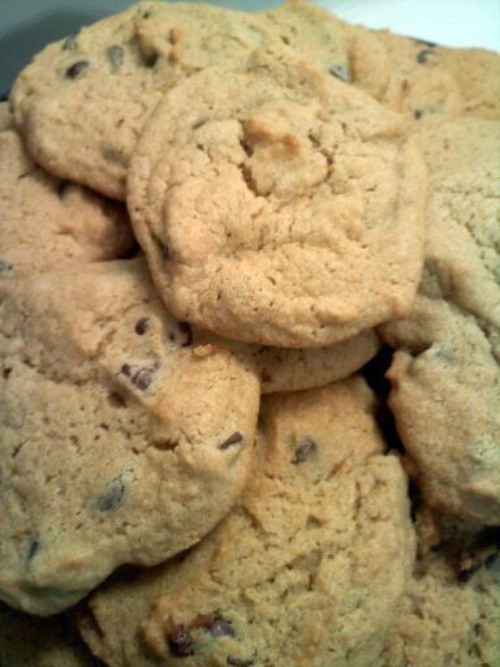 This recipe makes 3 dozen cookies, and has no eggs, so all my Vegan buddies out there can enjoy the goods as well! Just substitute the margarine for one stick of Earth balance, use VANILLA soy milk, and you're set! See that little guy, top row, closest to us, heart shaped. Oh yes, he's mine! Preheat oven to 350 degrees. Generously grease a cookie sheet, set aside.. In a large bowl cream together the butter, oil, and sugars. Mix in milk and vanilla. Sift in flour,baking powder, and baking soda. 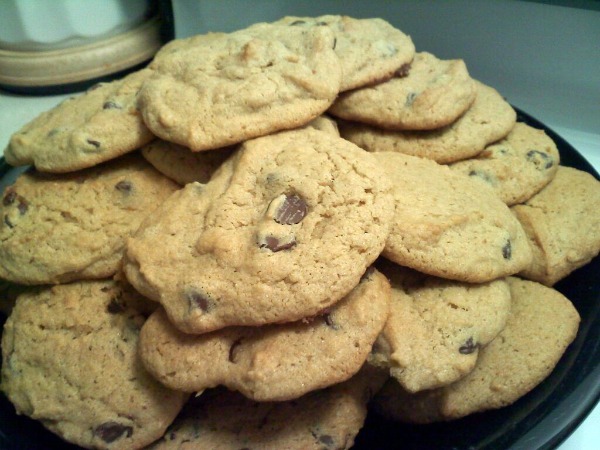 Blend well, then fold in chocolate chips. Drop by spoonfuls onto greased cookie sheet. 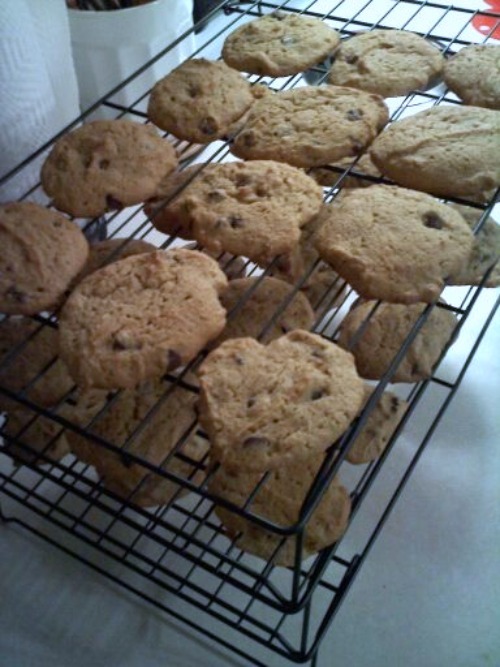 Bake for 12 minutes or until edges of cookies are golden brown. Cook on pan for 5 minutes, then transfer to a wire rack to cool completely. You come up with the BEST recipes.